Today I have an exciting post for you, this is my first SheSaidBeauty* box. I wasn't sure what to expect packaging wise and obviously product wise. This is why I love beauty boxes, I think they're a great way of trying new brands and brands which you may want to try but haven't wanted to splash your cash on a full sized product. OK so when the postman knocked on my door and handed me this vibrant pink box, I did find myself grinning like a Cheshire Cat and who wouldn't? Once inside you're then calmed down with a soft refreshing pastel turquoise box. Instead of your typical box opening the SheSaidBeauty boxes are in fact magnetic. This is great because you can delve into your goodies a lot quicker and you don't have to wrestle with the lid! You're then greeted with the product info card which I quickly take out because I want to see the products first, inside the samples are nicely wrapped with pink tissue paper and ribbon. Once ripped open you can see your goodies! I really like the contrast between the vibrant pink, soft muted turquoise and the natural raffia shredding. Thumbs up SheSaidBeauty! In my June Box I had a nice surprise of brands, I haven't tried St.Tropez for years so was very happy to see a generous 75ml sample size of their Gradual Tan. I can't wait to try this. I've seen some great review lately about their tanning range so this will be put to good use! 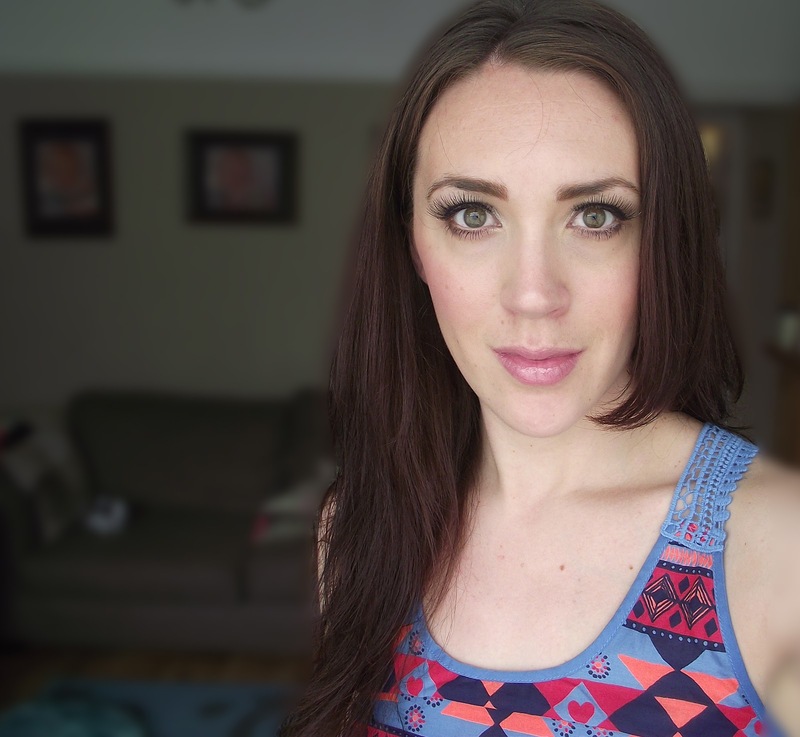 I tried Letsgo lashes the other week for the first time and I was won over! I've tried for many many years to master the fine art of applying false lashes and when I had the chance to try Letsgo lashes I thought why not? So I went for it and used their most natural ones which are No1. Well I can safely say it ended happily ever after. SO when I saw these and checked the back and saw they're No1's I was made up! I have a review of them coming soon, but thought I would add a photo below showing me wearing them. I've been wanting to try the Elemis Tranquil Bath Elixir for a little while now, I think this is a great size which will probably let you have a nice lot of baths if you use it sparingly. I love Elemis products both face and body. There's nothing better than soaking in a lovely bubblebath and then lighting a candle and relaxing! Hand Creams are always useful and especially these smaller sizes, they're great to carry around in your bag or to travel with. I've already tried this particular hand cream before and enjoyed it, so it's nice to have a back up. I actually like the little mini fragrance samples which come in the beauty boxes, these are great to carry in your handbag instead of carrying your full size bottle around with you. They're also great to add into birthday cards as a little surprise! I love BB creams so I'm intrigued to try this one and plus I've never heard of this brand which also makes it all the more exciting to try. Plus I'm a fan of Green Tea so I have high hopes for this! I think I will genuinely use all these samples, I will probably give the Yardley Diamond fragrance sample to my mum or a friend. So overall I'm very happy with SheSaidBeauty- June Box. The concept of SheSaidBeauty is very much in line with other beauty boxes, except you pay a monthly subscription of £9 each month and then £2.95 p&p. 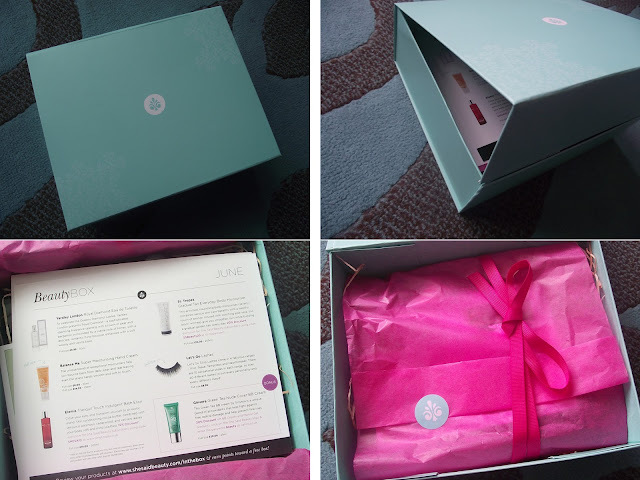 My first impression of SheSaidBeauty is positive, I think this box is well worth the monthly subscription. Have you subscribed to SheSaidBeauty? What did you think of June's Box? WOW! Amazing products! Great sizes too.